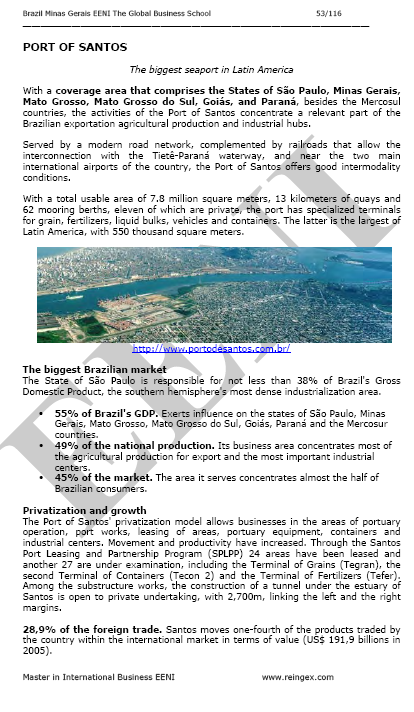 Syllabus of the Online Course (Subject): Foreign Trade and Business in São Paulo Brazil. 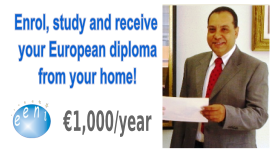 Description of the Course / Subject (Doing Business in São Paulo - Brazil). With a factory in Brazil since 1998, Land Rover already marketed in Brazil near 5,000 vehicles of the models Defender, Discovery and Range Rover. In 2000, the American company Ford Motor Company bought the Land Rover division of the German BMW. AmBev is the largest beverage company in Latin America and the fifth-largest drink company in the World. 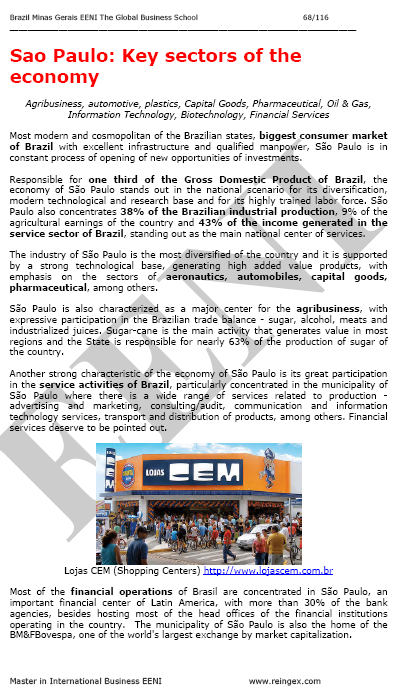 This position of Leadership makes the Brazilian product can compete with giants in the industry, generating foreign currencies for Brazil and a recognition of excellence of the Brazilian production. AmBev, Companhia Bebidas America, was created in 1999 from the merger of Brahma and Antarctica, the second largest breweries in Brazil. Embraer is the fourth largest commercial aircraft manufacturer in the World, a position achieved thanks to the excellence of its products and the high-end segment in aerospace. With over thirty years of experience in design, manufacturing, marketing and after-sales, the company has already delivered some 5,500 aircraft, which are in operation in different parts in the World.